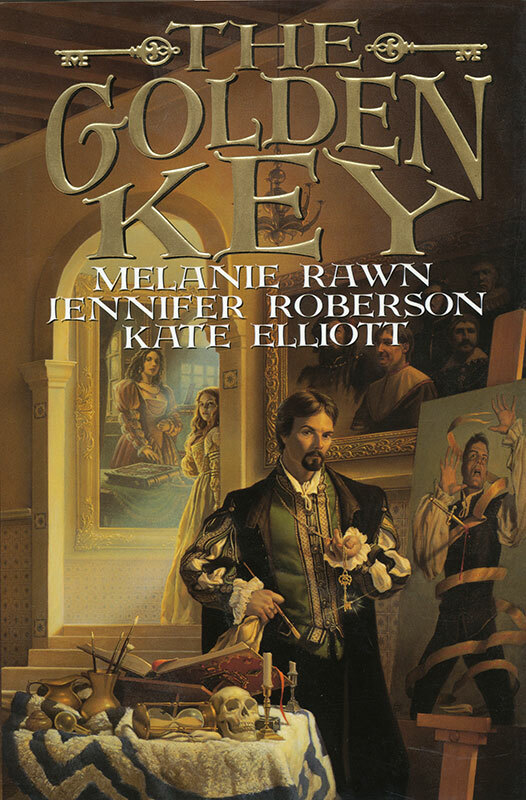 Oil on Gessoboard - 36" x 24"
In this story written by 3 top female fantasy authors*Melanie Rawn, Jennifer Roberson, and Kate Elliott the court painter is a mad artist, so Michael thought it would be fun to actually use himself as the model. 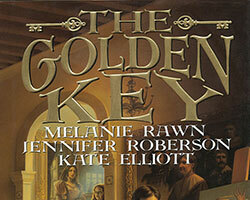 The authors got a kick out of his portrayal and sent him a real golden key for Christmas. 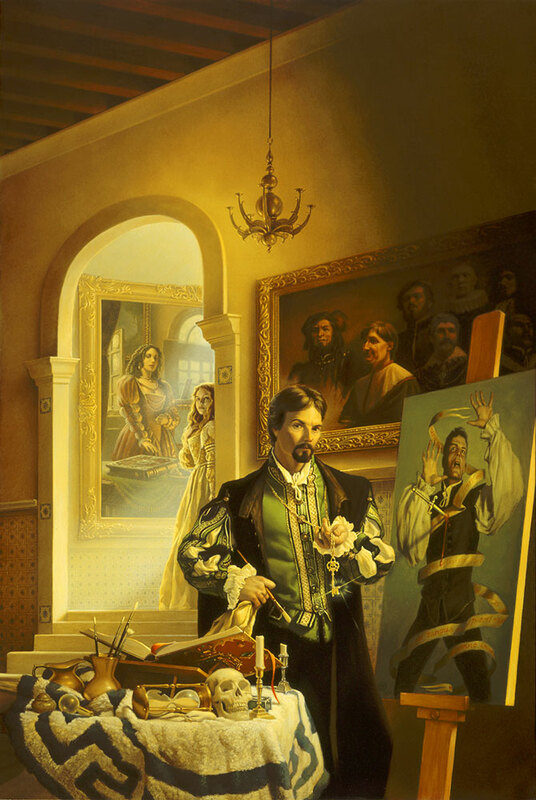 In a land where art is prized above all else, the master painters of the Grijalva family stand apart from other artists. Theirs is an art that can alter Reality, a secret Gift passed down for generations and always used for the good of the kingdom. But now the most talented of the Grijalvas has decided to use his power for his own dark intentions--with results more devastating than anyone could imagine!